This is free German Japanese English word dictionary. 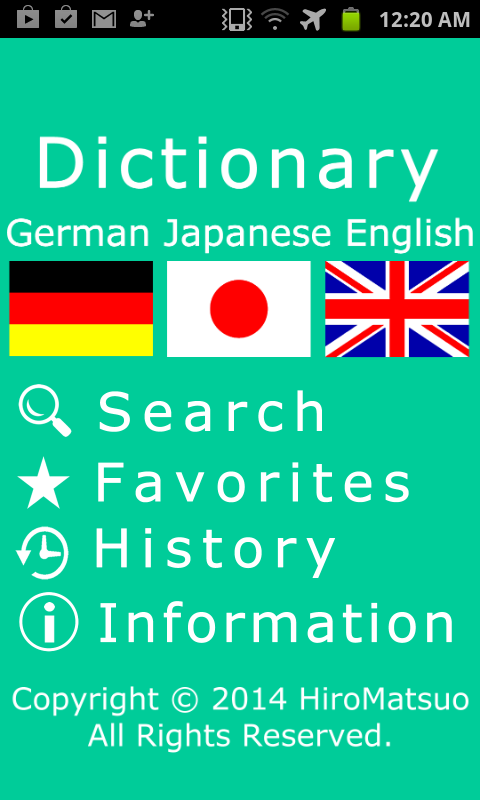 German Japanese English word dictionary has following three functions. 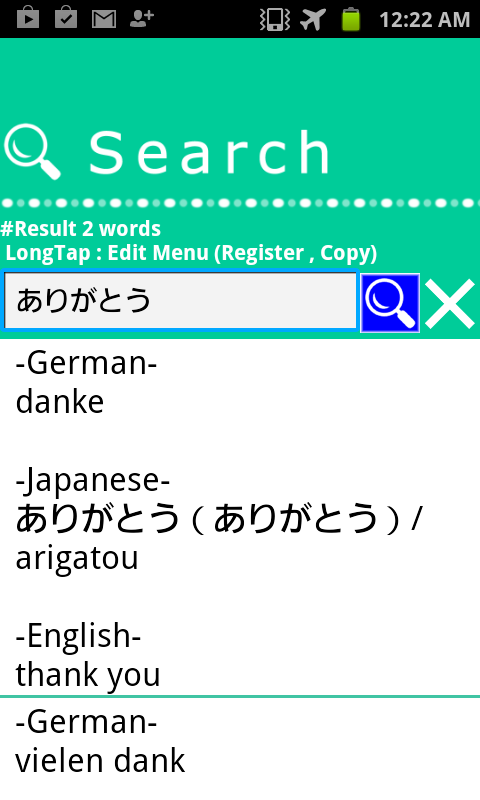 German Japanese English word dictionary Supports from AndroidOS2.3.3 to AndroidOS4.4.